Is a Liberal government good for Ottawa's real estate market? 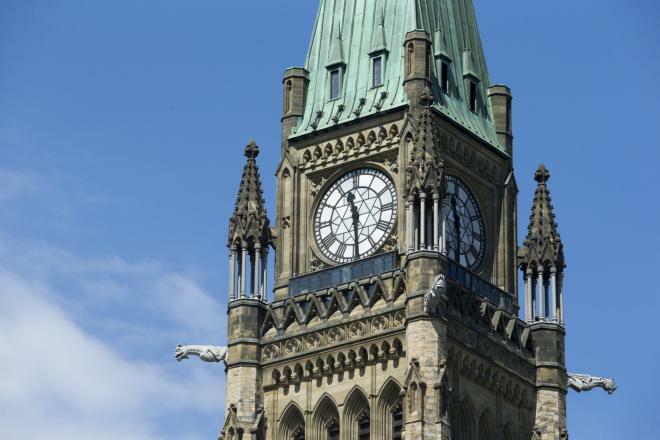 Is a Liberal majority good news for the commercial real estate sector in Ottawa? As Prime Minister Justin Trudeau moves back to his childhood home at 24 Sussex Drive, those of us in Ottawa’s commercial real estate business are asking ourselves a simple question: Is this good news for us? We think so. It’s not exactly Trudeaumania, but walk through the halls of just about any federal-government department right now and you can almost feel the change sweeping through the building. While this is certainly good news for many Canadians, to those of us in the commercial real estate business, what counts is whether the space we’ve invested in is occupied. Will the new Liberal government result in more space being leased? Let’s look at the possibilities—and we’ll start with the federal civil service. Will the plan to reduce the government’s footprint through attrition and by way of the Tories’ approach to office fit-ups called Workplace 2.0 continue or, as the president of PSAC, Robyn Benson hopes, will it be stopped in its tracks? It appears Ms. Benson is at least cautiously optimistic. One promise the Liberals have already made good on just one day after they took office that may result in the need for more employees—and, hopefully, more space—is to bring back the long-form census starting next year. With Prime Minister Trudeau heading off to Paris soon, civil servants at the newly named Ministry of the Environment and Climate Change will almost certainly have more work to do soon. Mr. Trudeau also promised to take care of veterans—will Veterans Affairs be expanding?—as well as students. He will also be opening a new Canada Infrastructure Bank—surely they will need an office somewhere. Some departments will grow naturally—or, organically, as they say—as that’s what they tend to do when Liberals are in power. It’s likely, for example, the arts will get more money—and we include here the CBC and the Canada Council for the Arts. And don’t forget, there is also a $60 billion promise to help shore up Canada’s infrastructure. While there may be work the feds undertake in the Ottawa area—perhaps Parliament Hill, the CBSA building on Tremblay Road, Lebreton Flats, L’Esplanade Laurier and others—there are also the infrastructure programs that the city and province will be undertaking. There are two aspects to that. First, it’s not uncommon for a company to increase its footprint when it staffs up for a big job, especially on ones such as the LRT and others that are spread over many years. Perhaps more importantly, is that with government investing huge amount of money, Canadians will be more likely to spend more money of their own. Government investment also tends to spark spending by the private sector and, as that sector’s waistline expands, so, too, does the space it needs to operate. In general, it’s safe to say this will be a growth period for the federal government as it tries to get back on the good side of the civil service, spend money on infrastructure and make good on returning services to Canadians. I don’t think anyone can deny that now, at least during the new government’s honeymoon phase, people (and consumers) are feeling quite hopeful, even confident, something that’s always good for the economy. And, what’s good for the economy, is good for us. But the big question remains: Will commercial real estate investors soon feel the love? While we are certainly optimistic, we are not fortune tellers—only time will tell.